Confession time: I really love group fitness classes. While I used to generally prefer working out on my own, I’ve come to love the atmosphere created by a workout class. Plus, the reserved times give me an incentive to not bail on my workouts, because I’ve already paid for them and don’t really feel like throwing away money (seriously, Pure Barre’s $15 cancellation policy is the ultimate motivator). I first got into these classes through the Pure Barre in Athens, which was and is to this day my absolute saving grace as far as workouts go. But while I’m in DC this summer, I decided to branch out a little bit and try out a new variety of workout class. Enter: SoulCycle. Now that I’ve gotten a little bit of experience with both, I figured I’d share some of my thoughts on each. If you’re trying to decide on a workout program, hopefully this post can provide you with a little guidance. Pure Barre: Some of the concepts in Pure Barre just don’t come naturally to most people. The workout is centered around isometric movements, which means you’re generally only moving your body about an inch at a time. This can be a bit of an adjustment for some people, and it definitely requires a bit of concentration to make sure that every part of your body is in the right position. The instructors are super helpful with this, though, and often come around correcting people’s form to make sure you’re getting the most out of your workout. 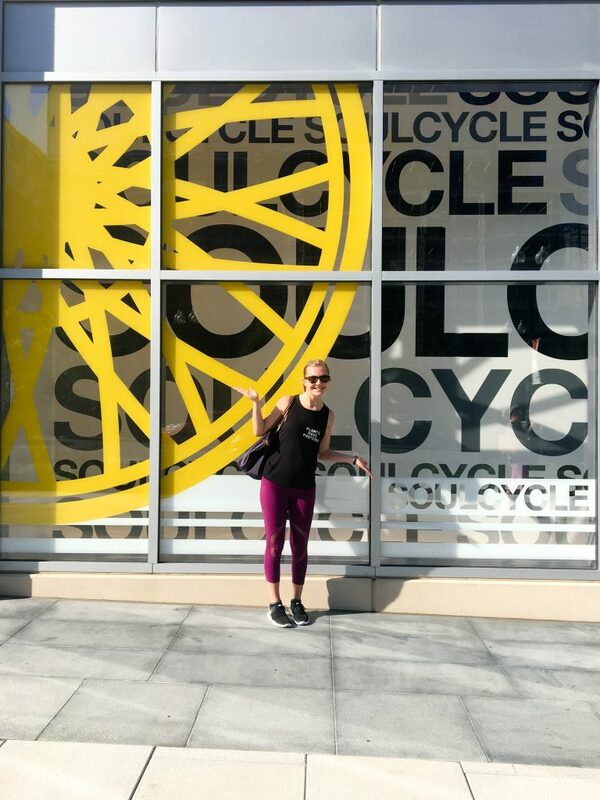 SoulCycle: Of the two, I’d definitely say the learning curve for SoulCycle is steeper. In addition to learning the movements, understanding how to work a stationary bike, and the idea of moving to the beat of the music, there’s also a base level of cardiovascular fitness that the class requires. If you’ve got that background, it makes the learning curve a little easier, but the class a whole definitely requires a lot of new skills. Pure Barre: Here’s our first big contrast. Pure Barre studios are generally pretty well-lit, have carpeted floors, and the walls of the room have, you guessed it, barres. You’re usually pretty spaced out, because many of the exercises require at least a little space for your legs/arms to move. SoulCycle: The SoulCycle studio rooms, on the other hand, are pretty dark. Usually, there are just candles providing light, and the instructor may have control of a few small spotlights. The bikes are packed pretty close together as well, because the class emphasizes the concept of “riding as a pack.” This definitely fosters a real sense of closeness with your neighbor, because you’re only a foot or two away from them. Pure Barre: I can only speak for one location, but I adore the Athens instructors. They’re the perfect combination of encouraging and relaxing, and definitely know what they’re doing. They’re constantly checking people’s form and making sure that everyone’s challenging themselves (I’ve had more than one instructor make me go lower on a leg workout because they could sense I was being lazy and not really pushing myself in the moment). SoulCycle: The instructors yell. A lot. In a good way, of course, but they’re definitely high-energy people. In a class like this, that’s exactly what you need, because, well, it’s a pretty high-energy class. They’re generally on the bikes themselves, which makes it easy to follow along and catch on to the beat if you’re not quite sure what pace you’re supposed to be keeping (which is fantastic if you’re like me who, even after being both a cheerleader and in chorus in high school, still can’t find the correct beat on a pop song). Pure Barre: Pure Barre attire is pretty simple. Workout tank or t-shirt with leggings, and special Pure Barre socks. I’d advise against wearing shorts, because you use resistance bands that would probably hurt against bare skin. You also have the option to wear your own socks, but the “sticky” bottoms on Pure Barre socks work wonders for making sure that you don’t slide all over the place while you’re in different body positions. SoulCycle: SoulCycle has pretty much the same uniform, clothing-wise, but it’s also acceptable to wear shorts and sports bras given how sweaty it can get. The biggest pain, however, is the cycling shoes because they really up the cost of the workout. You have two options here. You can buy a pair for $150, of you can rent a pair every time you go for $3. I ended up buying a pair, because if you’re planning on going to more than 50 classes, which I probably will, it’s more logical to buy them. If you somehow already own cycling shoes though, you’re in the clear here. Pure Barre: As I mentioned earlier, Pure Barre really is about little, isometric movements. That being said, it’s not very cardio-heavy and generally focuses on strength training – lift, tone, burn is the motto. If you read that thinking that there’s no way Pure Barre could help you lose weight, though, you’d be totally wrong. Something about that type of strength training, while not particularly heavy on the calorie-burning side, helps build up lean muscle that increases your metabolism and translates to weight loss (this is my best interpretation of what it does based on past experience, at least). SoulCycle: It’s a spin class, so it’s just as cardio-heavy as you’d expect. Maybe even more so. There’s a lot of upper body movement and fiddling with resistance levels that all challenge your body in different ways and ensure that the workout isn’t all just in your legs. Pure Barre: Pure Barre’s main “special” class is Platform, which is a modification of Pure Barre that uses, shocker, a platform. It’s much more cardio-focused, and those isometric movements get a little bigger in order to support that goal. They also occasionally offer “intensives,” which are longer classes (usually around 90 minutes or so) that have a specific target. SoulCycle: There’s a ton of themed classes, often based on the artists featured in the music. I’ve been to a Beyoncé’s Lemonade-themed class that was just phenomenal, and I’m planning on going to an “Evolution of Kanye West” class next week. The class itself isn’t all that different, but it’s fun when all of the music follows a specific theme. 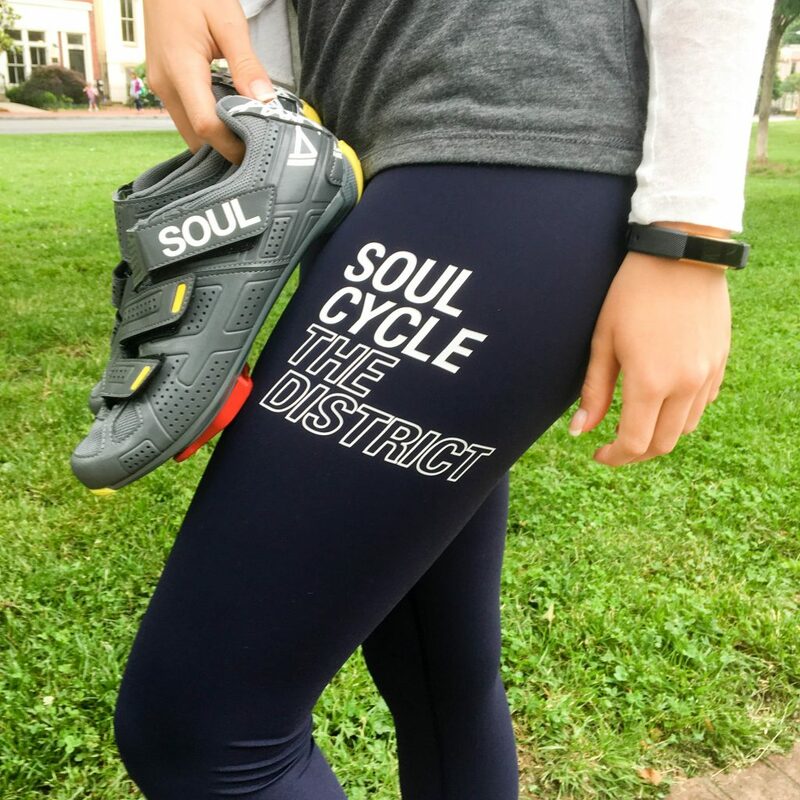 They also have classes, called Soul Survivor and Soul Challenge, that are essentially SoulCycle classes but longer (60 and 90 minutes, respectively) if you’re really looking to challenge your endurance levels. Pure Barre: Another big contrast here. 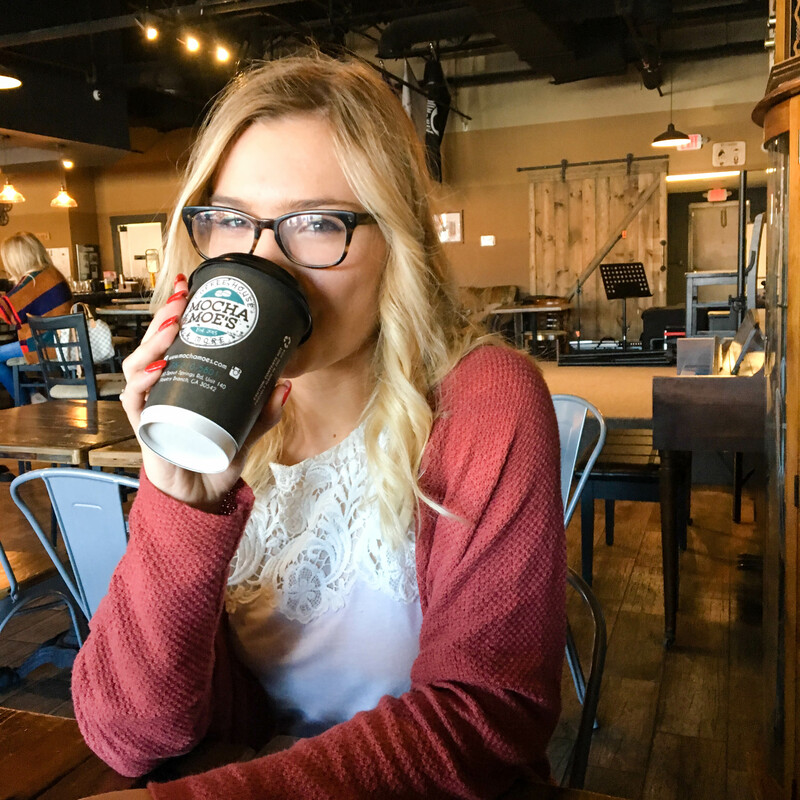 After a Pure Barre class, I’m totally fine to go hang out at a coffee shop or meet a friend for lunch. You break a sweat, but not enough so that you need a shower immediately. SoulCycle: No joke, I very closely resemble a drowned rat post-SoulCycle. The tightly-packed room plus the high intensity nature of the workout means you’re pretty much dripping sweat by the end. I almost feel guilty riding the Metro home because my shirt is positively soaked and my face closely resembles a tomato. I’m not going to give a final verdict on which class is better, because it really depends on what your interests are. If you want a calmer class that really works to tone and define every part of your body, Pure Barre is for you; if you’re one of those people who weirdly loves cardio (don’t worry, I’m one of them too) and doesn’t mind dishing out some extra cash on shoes, you’ll probably prefer SoulCycle. Whichever one you choose, you’re guaranteed a great workout and a high probability of getting hooked.